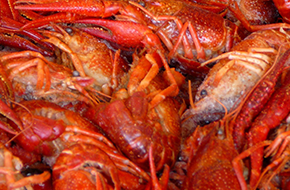 Bahama’s Crabshack Carryout & Seafood Market offers a large assortment of fresh seafood catches. Bahama’s Crabshack Carryout & Seafood Market has a convenient carry out service for our loyal customers. PREMIUM SEAFOOD & GUARANTEED FAT CRABS! Bahama’s Crabshack Carryout & Seafood Market has been a reliable provider of fresh seafood in Ocean City, MD for many years. During this time, we have cultivated and maintained a great reputation for high-quality products and customer satisfaction. 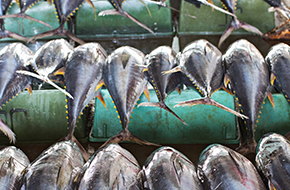 We hand select the freshest catches from local fisherman each day to uphold our commitment to quality and excellence. Visit our fresh fish market when you are looking for a complete seafood experience like no other. We are open seven days a week for your convenience and stay open late on the weekends. Our special late night fair menu is sure to satisfy your insatiable cravings for seafood whenever the mood strikes. We sell only the freshest, highest-quality seafood selection including clams, crab, fresh fish, and shrimp. Our premium crab is directly sourced from the salty bays of local Maryland waters. We also sell wholesale seafood to local restaurants or customers with really big appetites. There is something to satisfy the entire family at Bahama’s Crabshack Carryout & Seafood Market. 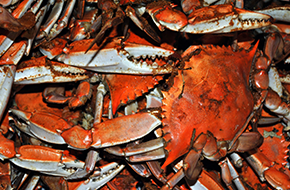 Fresh Maryland seafood is never more than a phone call away with our quick and easy carry out services. Be sure to try our freshly made seafood soups such as cream of crab and Maryland Crab soup. Another popular option is our tender and juicy Maryland crab cake that is made from the fattest crabs guaranteed! As always, we offer no sales tax on our succulent selection of high-quality seafood. At Bahama’s Crabshack Carryout & Seafood Market, you will always get “premium seafood & guaranteed fat crabs!” Browse our impressive inventory today to be blown away.